Discover our selection of premium quality gluten free pasta! Our macaroni is made with organic white rice and red & white quinoa flour and offers the same lovely ‘al dente’ texture as wheat pasta. Bring 3-4 liters of water to a boil. Add salt if desired. When the water is boiling well, add the pasta and cook for 4 minutes stirring occasionally (for al dente texture); or 1-2 minutes more for a regular texture. 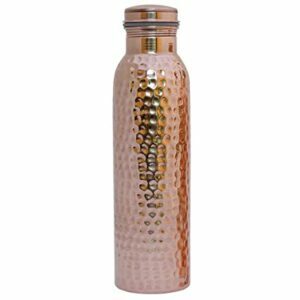 Drain and rinse promptly with cold water. Serve immediately with your favorite sauce. 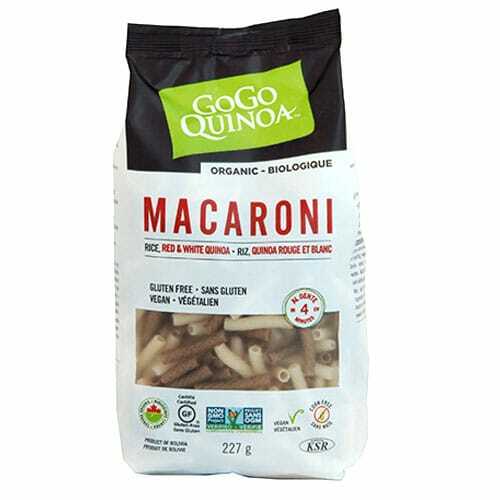 This gluten free bite-sized pasta of premium quality, made with a blend of organic quinoa and white rice flour, are delicious on their own with your favorite sauce, or as the perfect addition to any soup or summer salad. Kids will love the 3 colours, obtained naturally from beets, spinach, and turmeric. 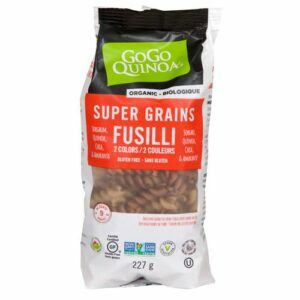 Made with the nutrition-packed blend of chia, quinoa, sorghum, and amaranth super grains, GoGo Quinoa Super Grains Pasta will be a healthy and delicious addition to all your favorite pasta recipes. 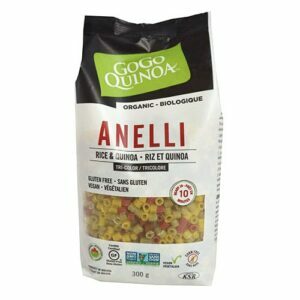 Offering the mouthwatering al dente bite renowned to GoGo Quinoa the new pasta is certified organic, gluten-free and 100% vegan. 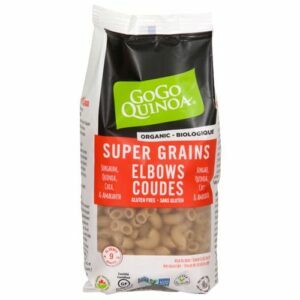 Super Grains Pasta is also part of the NON-GMO project, proudly maintaining GoGo Quinoa’s mission to provide superior nutritious flavourful products both ethically and responsibly. Discover our selection of premium quality gluten free pasta! 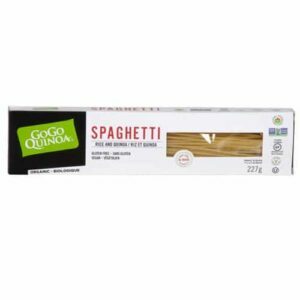 Our spaghetti, made with organic white rice and quinoa flour, could become your favourite alternative to traditional wheat spaghetti, with the same ‘al dente’ texture! 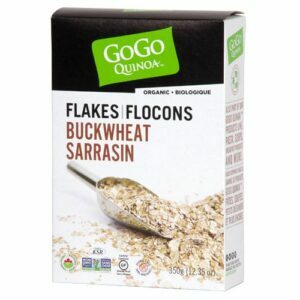 These Organic and Gluten-free Buckwheat flakes are naturally delicious and can be enjoyed in the morning as hot cereal. This nutritious alternative to oatmeal can be used to make delicious desserts or even cereal bars. 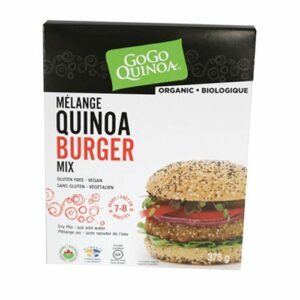 GoGo Quinoa instant Buckwheat Flakes can be used instead of regular flakes in muffins, smoothies, patties and other recipes. 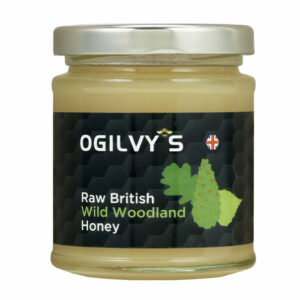 We are Hong Kong based, leading online retailers of Organic and Gluten Free food products. 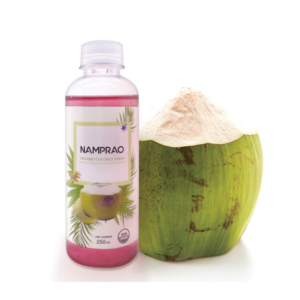 Our mission is to contribute to the nutritional well-being of all by offering nutritious and flavorful products. We are one of the best Organic Store Hong Kong.